Getting from point A to point B in the 10 most dangerous states for pedestrians in 2015 shouldn’t be done without a pinch of extra caution. 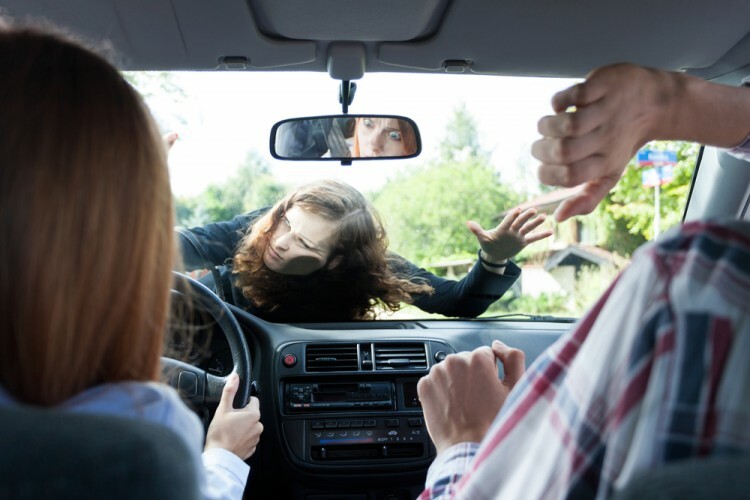 After all, as you may have read in our article, the 10 most dangerous states for drivers in America in 2015, car accident victims are increasingly more often innocent people and not the ones responsible for the accident. Pedestrian accidents range from jaywalking and getting hit to people righteously abiding by the rules but nevertheless getting swept off the street by a speeding teenager in an expensive car. There are far too many ways to get hurt when you’re happily waddling down a street while machines that are 30 times your weight move with at least ten times your speed just feet away from you. This is why there are rules restricting both the traffic and the pedestrians. While the cliche is that rules are made to be broken, such a breach of common sense could result in a series of unfortunate events, aka death. If you haven’t had your fresh cup of useless facts today, you might be interested to know that the first (known) pedestrian to be struck and killed by a vehicle was named Bridget Driscoll. This occurred in 1896. The Irish woman, who at the time of her death was in her mid forties, was strolling along the grounds of London’s Crystal Palace with her teenage daughter and a friend. At that time, a man named Arthur Edsall is suspected to have been moving with the brain-warping speed of around 5 miler per hour when he struck the woman and killed her. This happened with a vehicle that could achieve a maximum speed of thirteen miles per hour, in a zone where the limit was twelve. You can see how this compares to today’s world and even though our cars are lighter and don’t have as many sharp edges, it doesn’t mean damage won’t be done. The United States, like always, could not afford to be left behind – even in matters of vehicular homocide. So the first fatal accident involving a pedestrian there followed in 1899. A man called Henry Bliss lost his life under the wheels of an electric taxicab, setting the starting point of a more than a centur-long history of frequent pedestrian accidents. Let’s take a look at where they’re most likely to occur, ranked compositely using statistics from the National Traffic Highway Safety Administration and Walk Score’s walkability ranking.